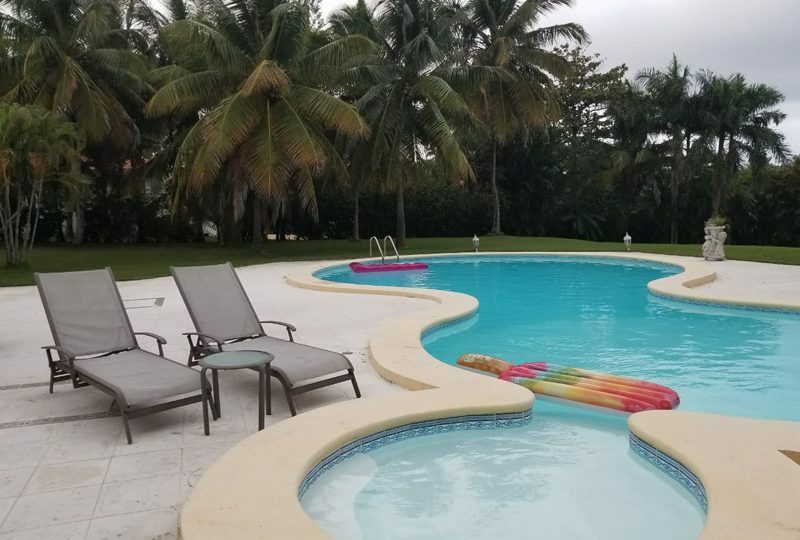 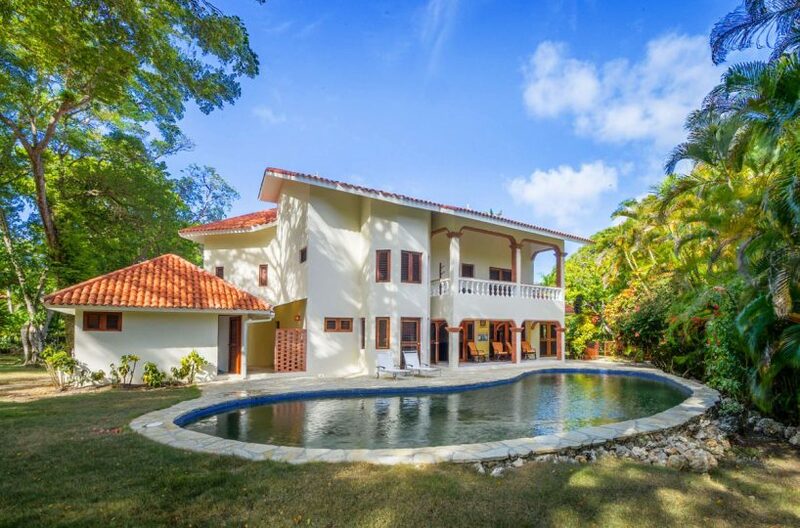 Casa Brillante is new to the market at 1.299 million, and was recently remodeled to add an additional master bedroom and bath on the second story, completing this 6,878 sq ft villa with five bedrooms, and six baths. 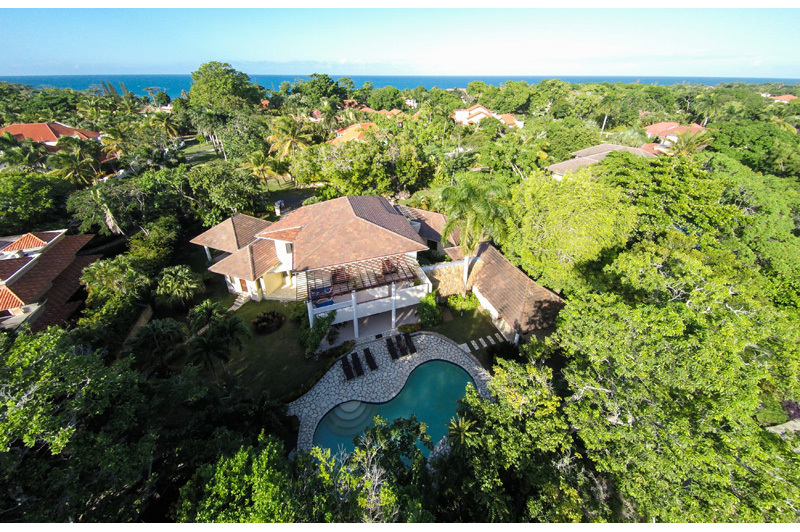 This gorgeous Mediterranean-style home has modern appeal, a private pool and garden, expansive living spaces and professional-quality kitchen. 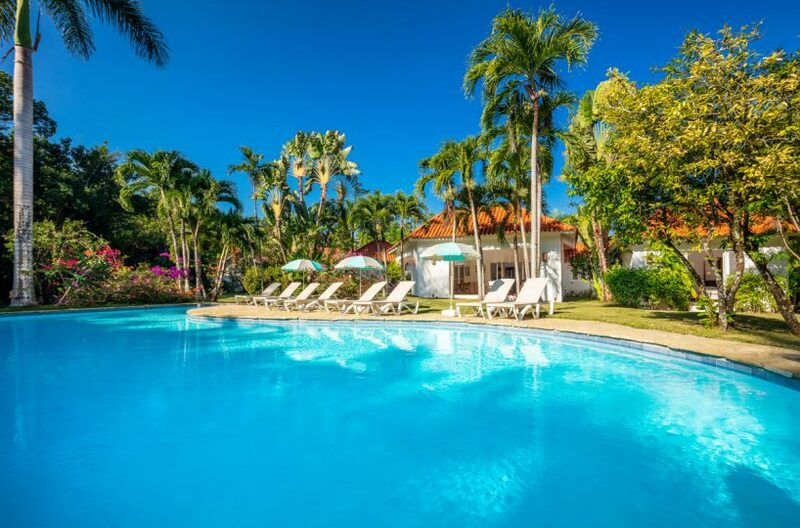 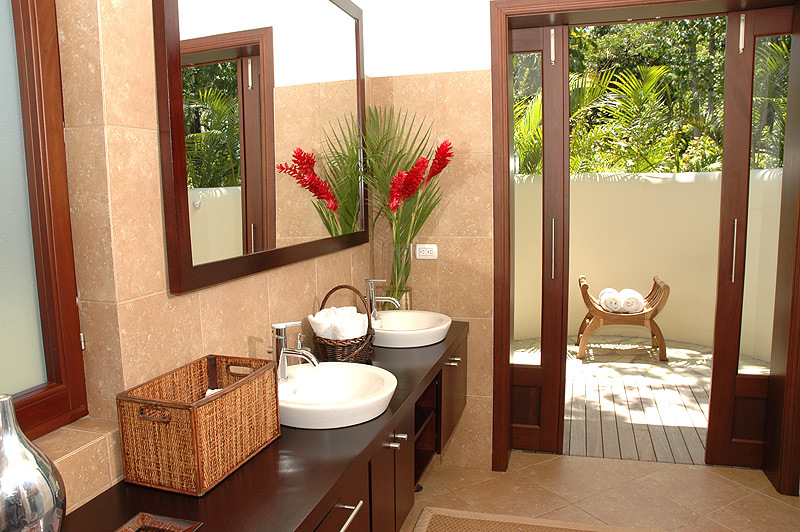 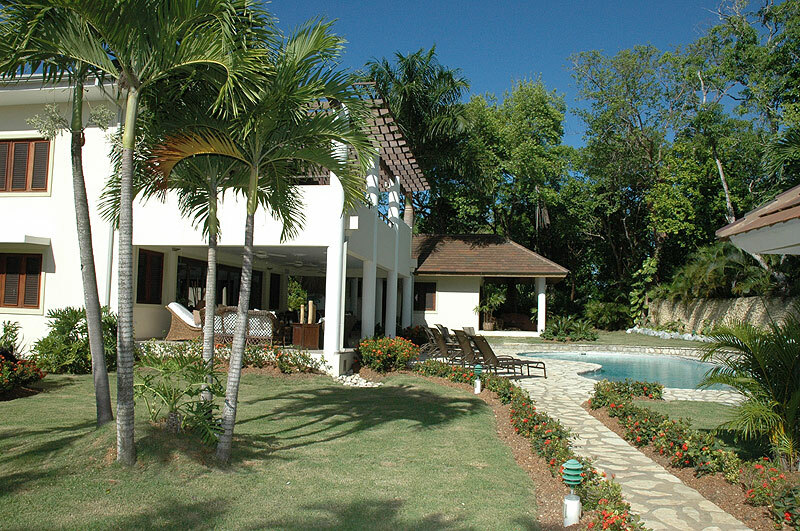 It is ideally located at Sea Horse Ranch on the north coast of the Dominican Republic. 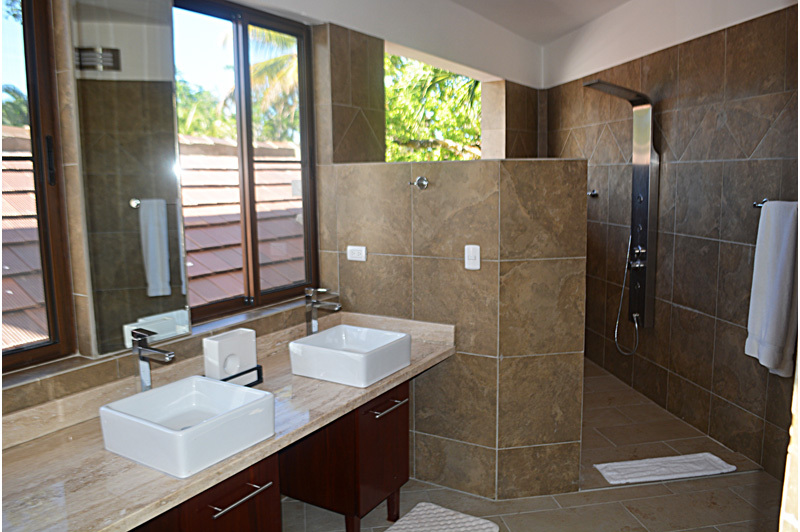 The second-story level new master suite features a spa bathroom, complete with a walk-in shower with rain fall shower head. 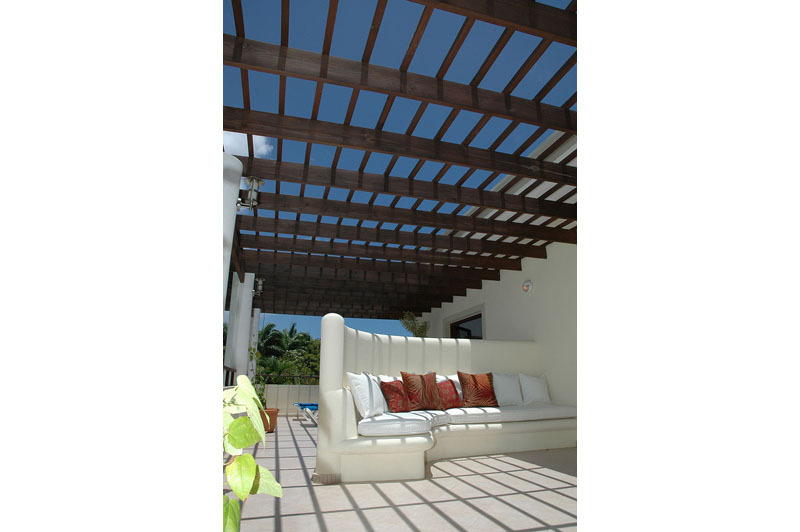 Both master suites open up to an outdoor sun deck with trellis. 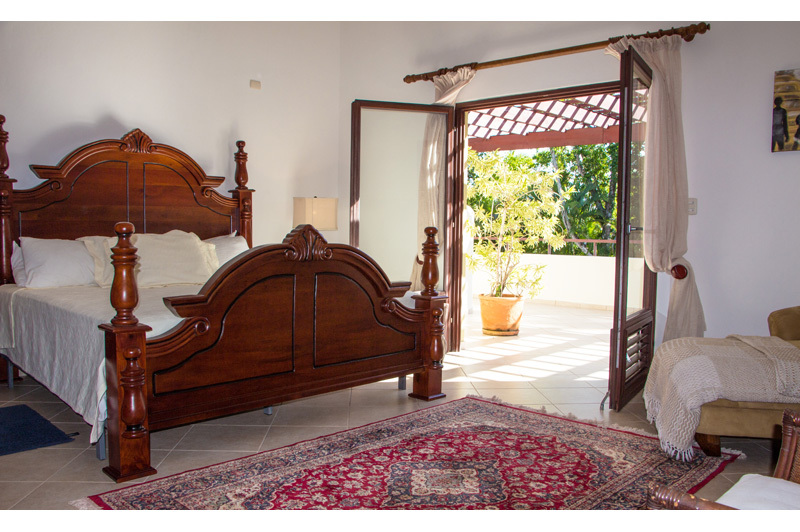 The original Master bedroom has an enormous walk-in cedar closet, a tempered glass walk-in shower and an outdoor Jacuzzi! 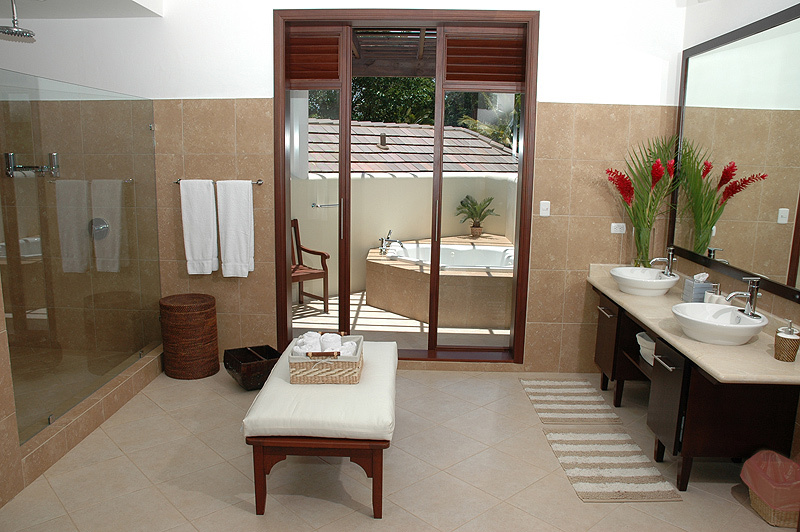 As if all this weren’t enough, the villa’s fifth bedroom is located within a private pool-side bungalow with a generous bathroom, secluded terrace and two outdoor showers. 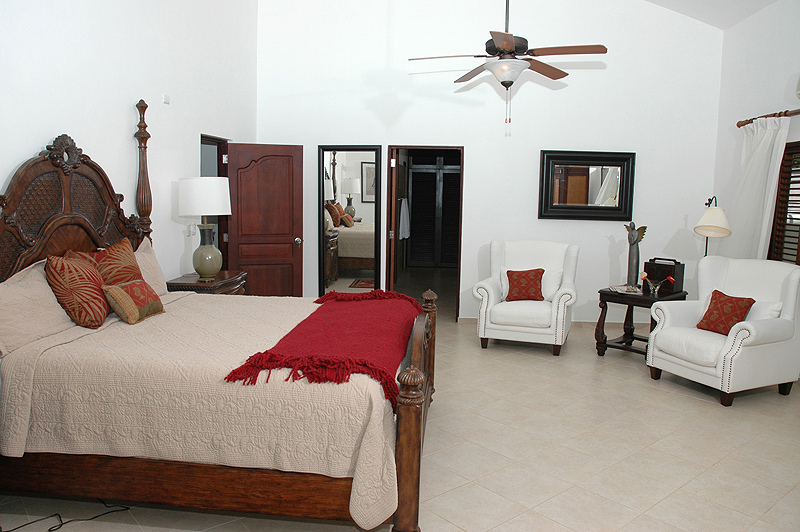 Two guest-suites, each with queen beds, are located off the living area are attractively appointed in dark wood furnishings, refreshing Caribbean linens and tasteful local art, one has the popular outdoor shower feature. 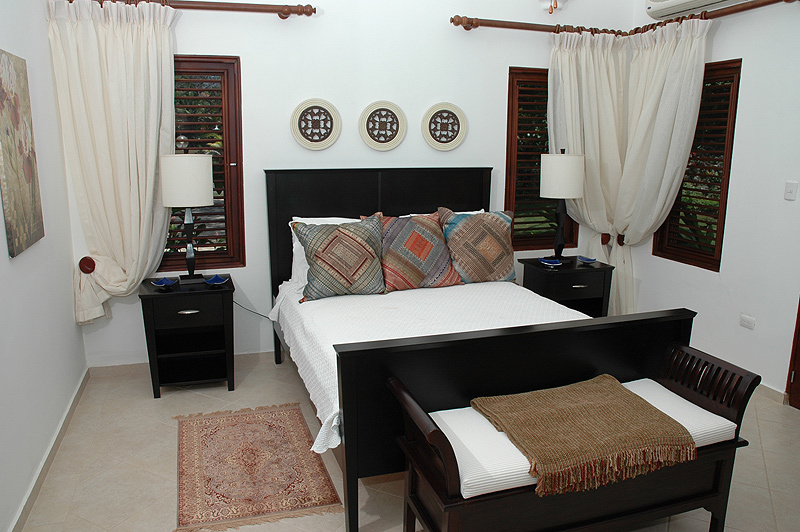 Natural timber, crisp white floors and Mediterranean-style furnishings throughout the villa harmonize perfectly with the tropical setting. 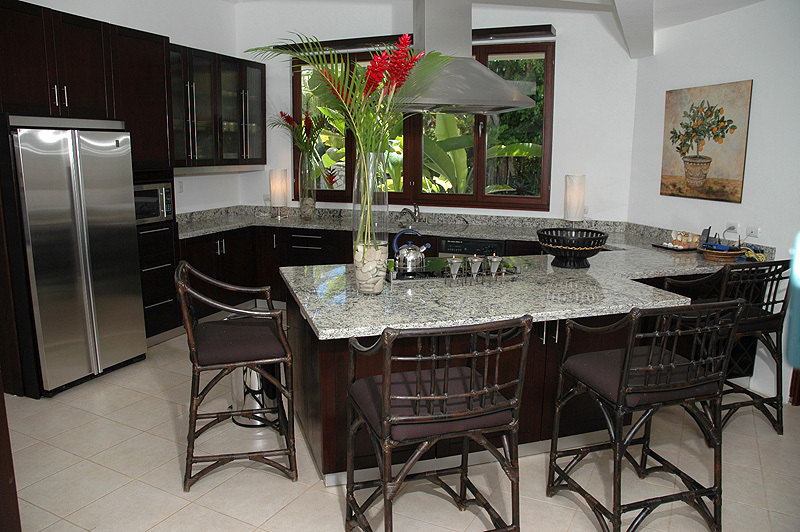 The gourmet kitchen is a dream for cooks with stainless-steel appliances, granite counter tops, and a large bar area perfect for entertaining. 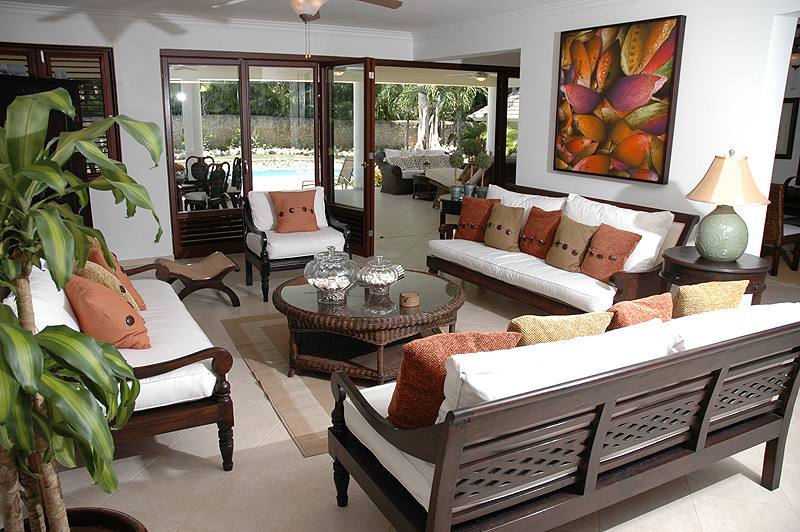 The living and dining room are open completely to the terrace to delight in sea breezes and starry nights. 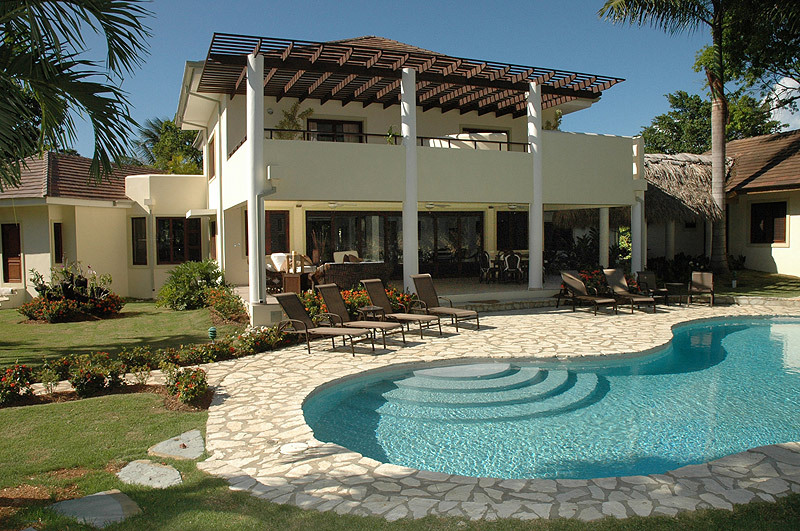 The generous pool is large enough for swimming laps. 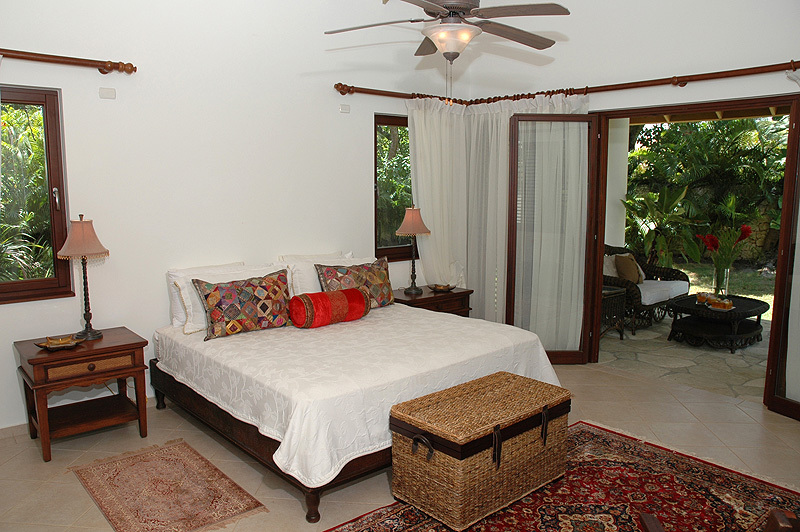 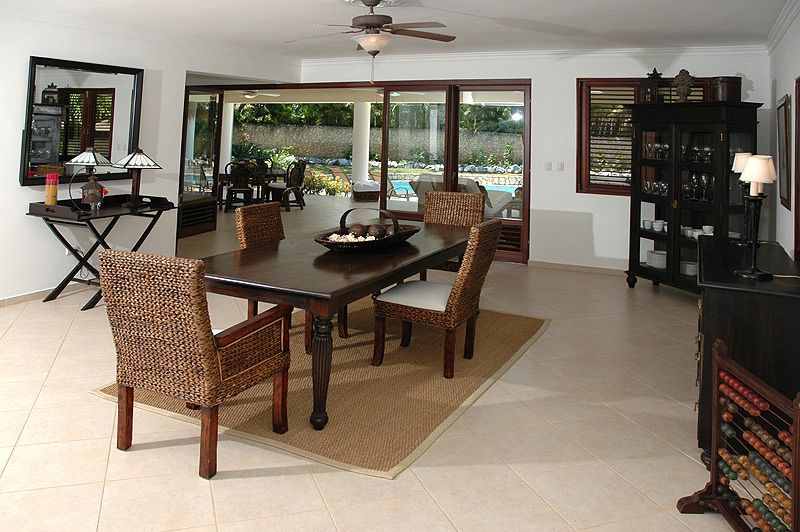 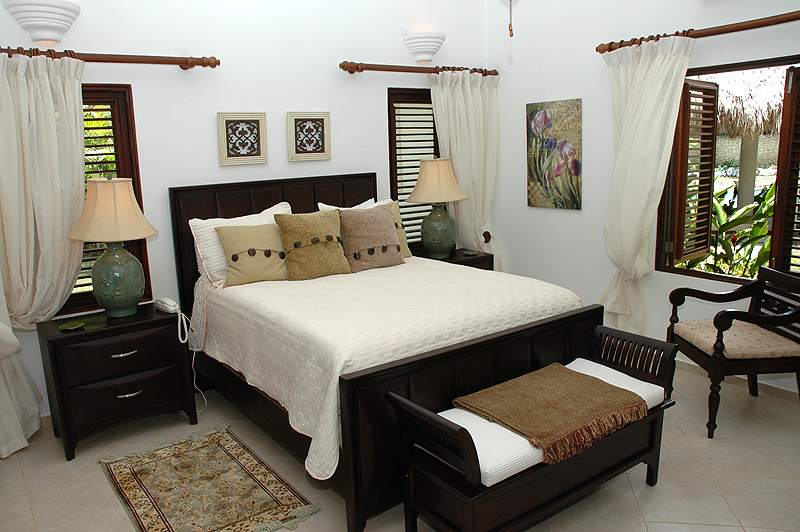 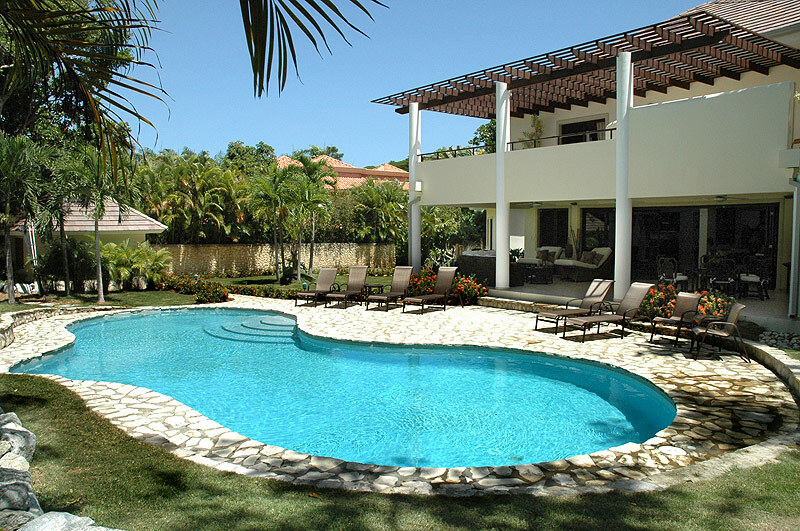 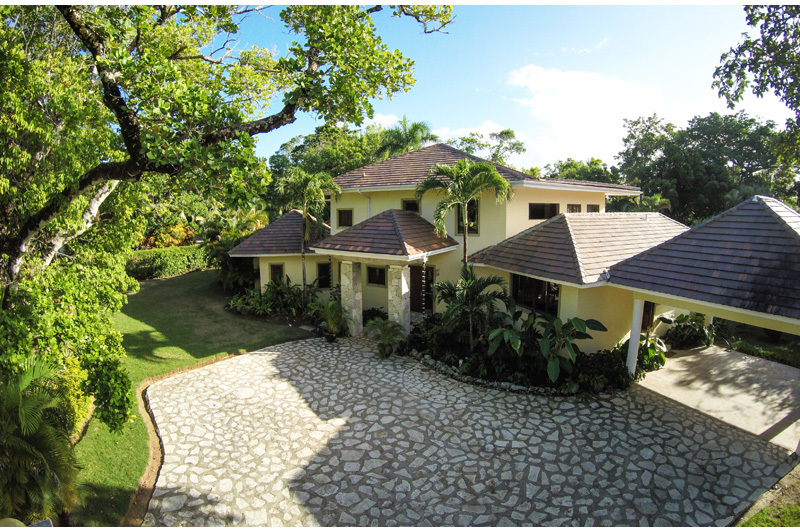 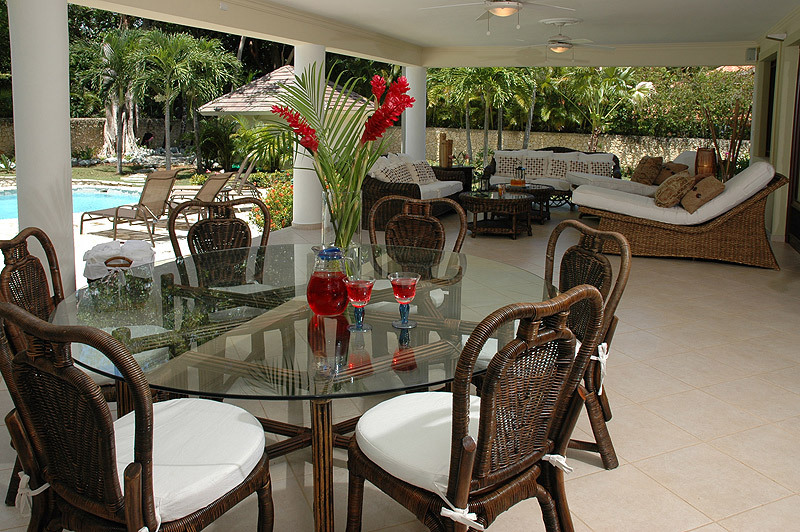 Casa Brillante is a perfect setting for Caribbean living.